ChromaHive™ - The Best Fidget Cube for Enhanced Focus! "The spinner is very nice and has a nice design and great build. It spins without much effort and is fun the play around with and I can see why people enjoy spinning these so much. It gets slightly addicting to play with the a couple of minutes. It spins much longer than the other ones my kids have and the glow in the dark is very bright as well very nice." Grab your Discounted ChromaHive™ - The Best Fidget Cube for Enhanced Focus! while the store LAUNCH DISCOUNT is on! Once we reach 250 unit sales, we will be increasing the price back up to $19.95 USD. Do you struggle focusing or suffer from anxiety? Do you find yourself stressing out and seeking an immediate cure? If so, you may be interested in this one incredible device. Specifically designed to be the remedy you're looking for, this is not something you want to miss. Allow us to introduce you to The ChromeHive, a brand new toy that is guaranteed to help you focus on the task at hand by allowing you maintain that clarity of mind that you need to get things done. 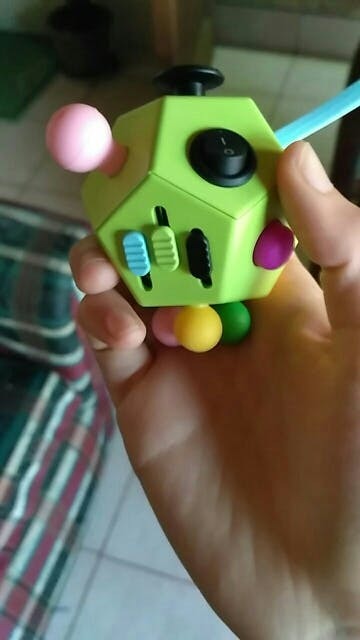 Equipped with a number of buttons, screws, and other entertaining functions, this thing is proven to stop your fidgeting and relieve any sort of stress. Compact and easy to carry, this handheld device is super simple to use at any time you want. Keep it on your desk at the office, in your car, or even in your back pocket for maximum convenience! The Chroma Hive has 12 different features that are designed to help you achieve that laser focus that you need to perform at your highest level while calming your anxiety. 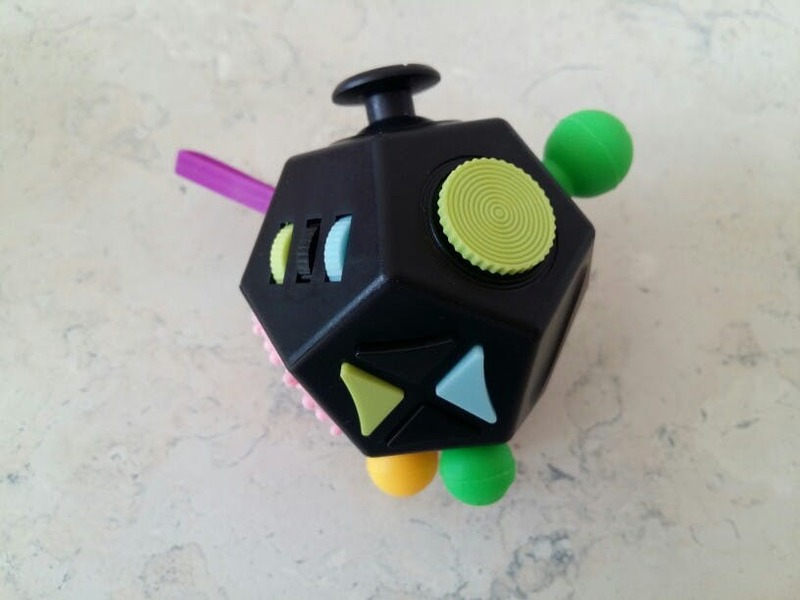 Things like the worry groove and the stress ball are great to take your anger out on, while the joystick and the rotating disk really help you relax and focus. An obvious essential in every household, it's easy to see why these have been flying off shelves. And thanks to our current sale, you can get yours now and save over 80% off retail price. But you better hurry, because this sale won't last long! A remarkable tool that is designed to help you focus on the task at hand. Tiny with maximum benefits, this is definitely a must-have! Scientifically proven to reduce stress and anxiety, this is perfect for anyone trying to relax and achieve mental clarity. With 12 different features to play with, you have everything you need to scratch that itch and control your fidgeting. Made out of premium quality materials, this toy is guaranteed to last you a lifetime. It is really fun to have this for myself at work when I am on the phone and for kids in the restaurant. I like there is so many options on one tool and small enough to have it everywhere. My favorite side is the switch and it does help a lot! 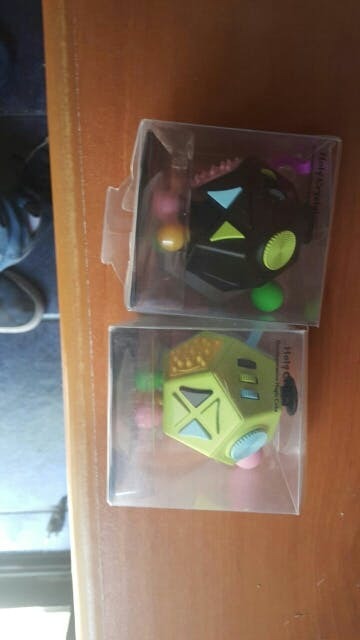 Nice for fidgeting, plenty to do, and 2-pack means home and work! 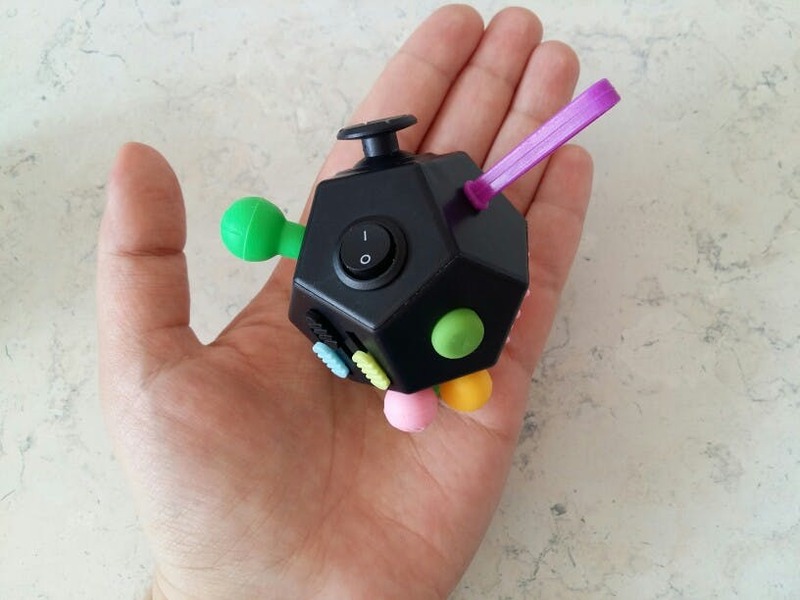 Great fidgeter, fits nicely in hand and plenty of stuff to fidget with. Nice it's a 2-pack so I can have one at home and another in office.